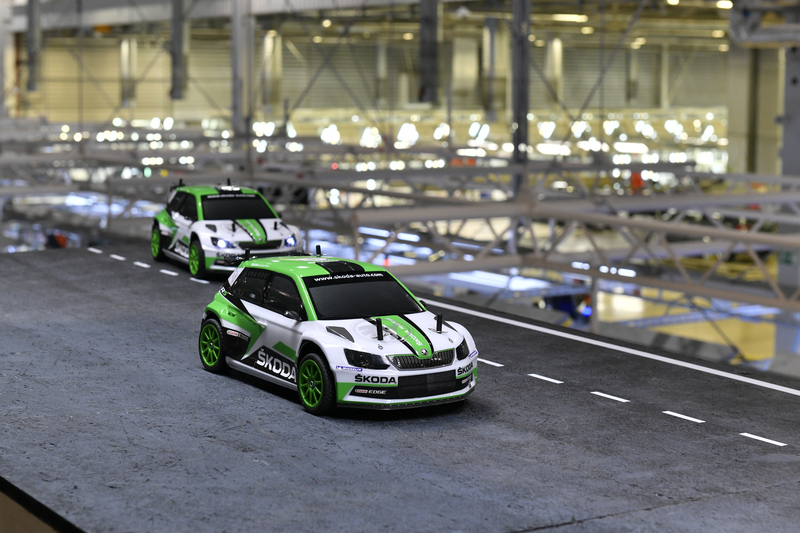 ŠKODA production plants are in full swing. They made their milestone one millionth car of 2018 back in early October. For one assembly line at the Mladá Boleslav plant, this equates to a car per minute. It takes roughly the same time to find out how it all works. 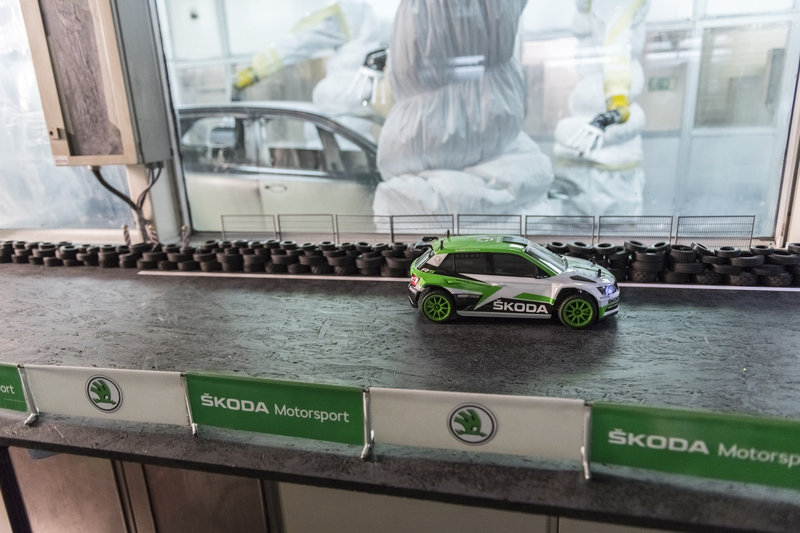 Join two ŠKODA FABIA R5 rally cars on tour of the pressing, welding, paint, engine and assembly shops. 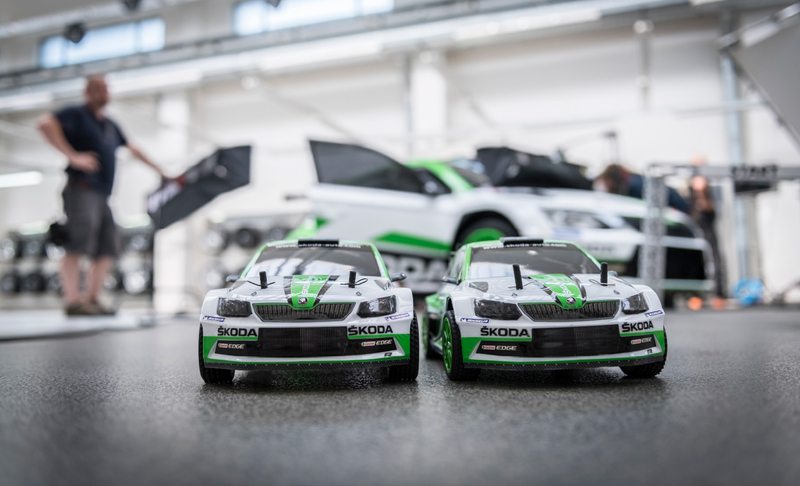 As you’ve probably noticed already, the cars in the video are not actual rally cars, but smaller scale models. 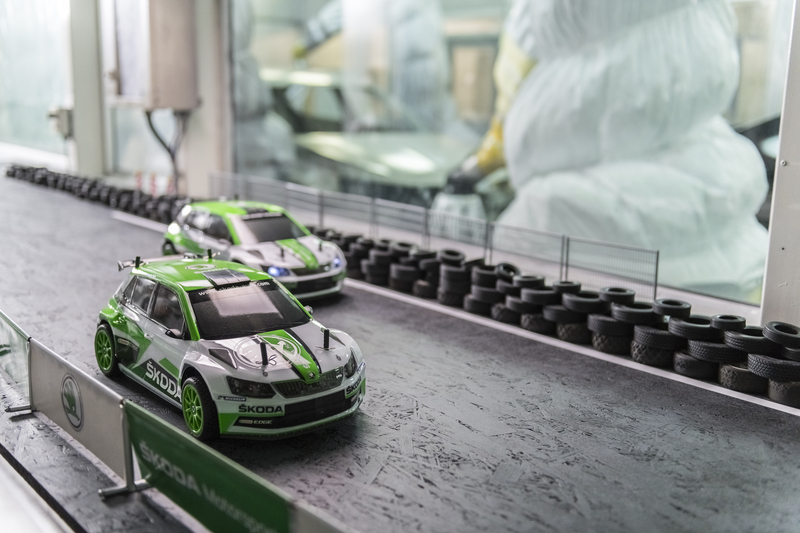 Even so, they’re fierce little racers, reaching speeds of up to 100 kilometres per hour, so their tyres need to be changed and their shock absorbers adjusted regularly. 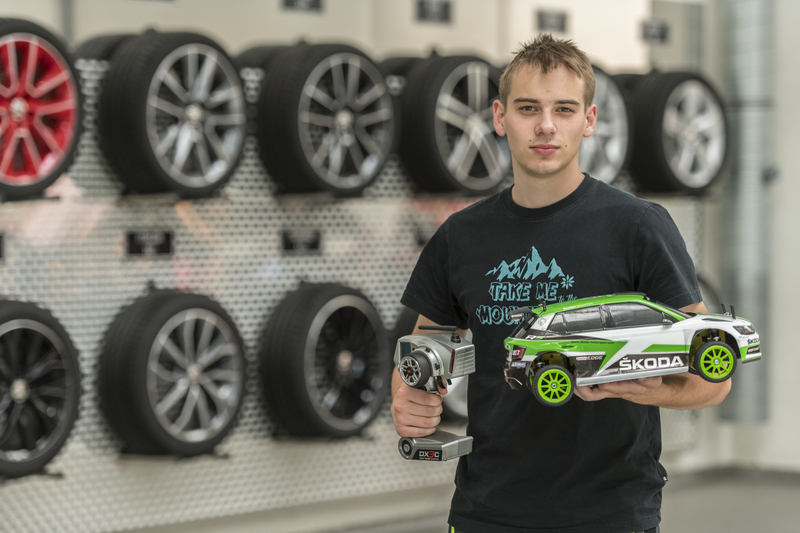 Meet the drivers from the video, Jan Viktora and Jakub Charvát, to learn more. Kids love playing endlessly with model cars. But how does it reach the stage where a grown man makes a living out of it? I’ve been a motorsport fan ever since I was a little boy. However, there was no easy way for me to get into professional racing. I was so short of funds when I started out that I even had to pack it in for a while. But that desire to race cars never left me, so I decided to do something about it and changed tactics by actively seeking out sponsors. Result? I’ve been part of Mr Samohýl’s team in Zlín for nine seasons now. How did you fare when you started? What helps you to win? When I started out, we would finish somewhere between 10th and 15th place. We have now progressed to the stage where, in the regional championships, for example, we are in the top three. And what helps us to win? Since no training – in the conventional sense – takes place, we try to constantly hone our driving technique during races. We also try to remain abreast of the technology being developed for our models. We can keep adjusting and improving our cars’ features the same way teams do with real cars. As a rule of thumb, the best way to make progress is to get those miles under your belt. You’ve mentioned normal-sized sports cars. Is there any similarity between them and radio controlled models in a rally situation? The races are actually very similar. Although the scale is 1:10, our events resemble a full-scale rally in many respects. 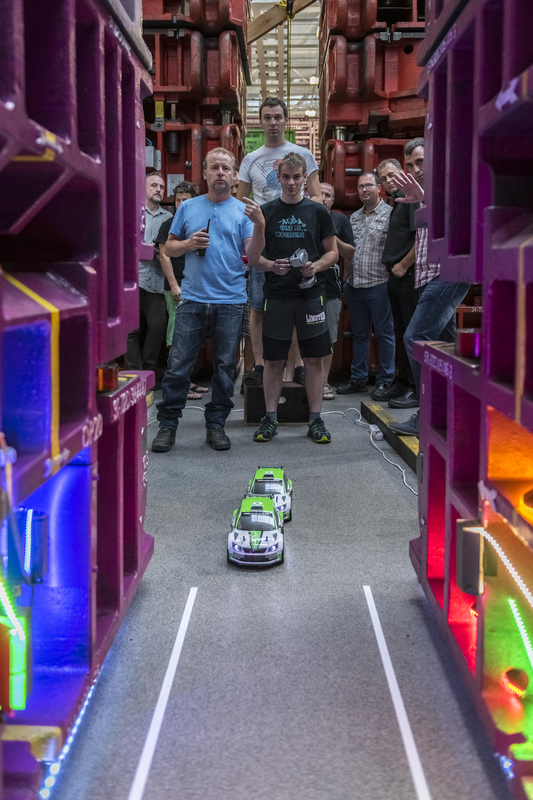 The start and finish lines are controlled by a photocell, you have to keep changing your tyres and adjust your shock absorbers, and deal with many other things. Obviously, we’re not sitting in the cars. Instead, we have to run behind them, so we have to be very fit. On a kilometre-long track, for instance, we’ll be running for seven or eight minutes. So how exactly does an RC rally go ahead? 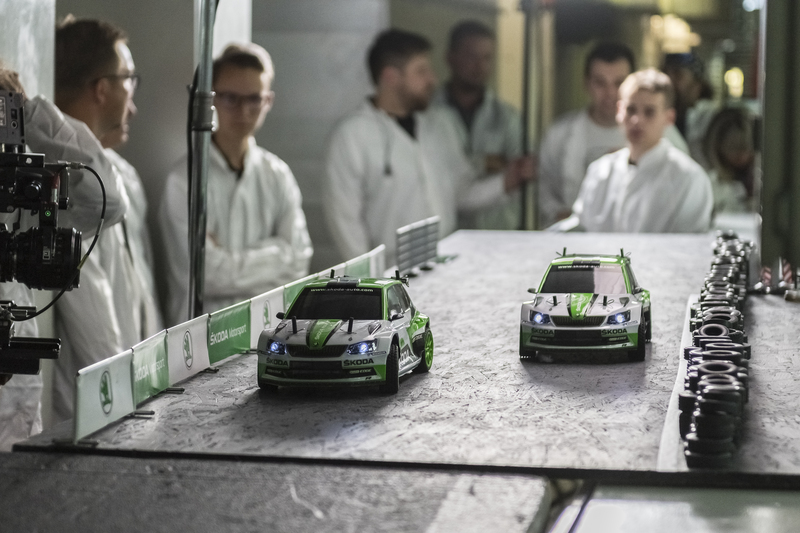 How many people take part, what do the tracks look like, and how fast can car models go? If you take the Czech Championship, then we’re talking 10 to 15 teams, involving about 50 racers. The tracks are what we’d call “tight”, with the curves following on directly from each other. In other words, it’s not a classic circuit and there’s ample opportunity for cut-offs, jumps, waves and ramps. The surfaces vary considerably and may involve gravel, clay and, of course, asphalt. We use the rally system, meaning that the races are point to point – the starting point is in a different place from the finish line. Every 60 seconds a car leaves the start line for a speed trial over a course of more than 1,000 metres. Our favourite category is 4×4, but there are also categories for cars with front- or rear-wheel drive only. Our models race along at around 40 km/h. You can mount an engine to push that up to 100 km/h, but for us it’s more about technique than squeezing the fastest possible speed out of the car. Do you think that people who are successful at RC rallying have what it takes to be a potentially excellent rally driver? 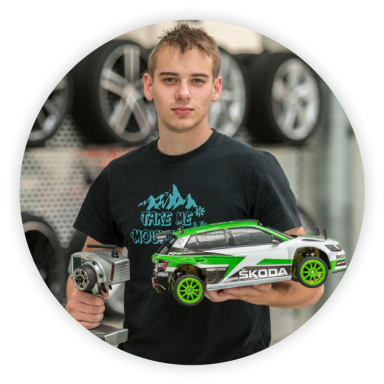 Experience of RC rallies can certainly be a boon for racing in full-scale cars. We know how the car behaves and how to tweak it for better performance. As I mentioned earlier, the races are very similar, too. However, the proof is in the pudding – I’d have to have a go at it myself. Were you a keen model racer even when you were little? Yes, definitely. I’ve been into motorsport for as long as I can remember. It was my grandfather who introduced me to motorsport, as he was a motocross and go-kart rider. But in order to race, I had to be very hands-on. I had no financial backing, so I had to save a lot of money and I basically built my first model myself. So you know how to build one. Where do you learn these skills? I love the technology itself, plus I have the added advantage that I study mechanics. I try to study and learn from specialist articles whenever I have time. I can then apply what I’ve learnt to my car. I would like to keep to this technical aspect in the future. Do you make your own components, too? When it comes to your car, what are you able to adjust or modify? I have just discovered the beauty of 3D printing, which allows me t make smaller components, such as covers, on my own. I can even model the underneath of the car body myself. Otherwise, we can modify pretty much anything when it comes to improving the driving performance of a model. For example, we can move the engine to adjust the centroid of the car. We can also shift the battery, adjust the shock absorbers, and so on. Minor changes can result in major progress. Of course, we have to respect things we are not allowed to change, such as the maximum width of the car, which is 200 mm. We also have to stick to production tyres, use electric motors, and such. Tyres are a central theme when it comes to rallying. What type do you use for RC rallies? You tend to have five different types of sets – for dry and wet asphalt surfaces, for dry and wet gravel, and for snow. What type of batteries do you use and how long do they last? 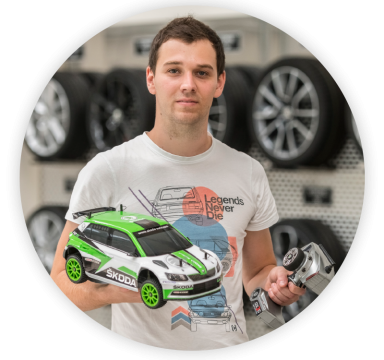 What is the average lifespan of a model car? We use lithium polymer (Li-Po) batteries for RC models. These can last for up to 30-40 minutes of racing. Maintained properly, a model itself can last for several seasons, perhaps even five years. The bodywork is different and will usually only last you a single season. Do you have any idols or role models? Would you like to race real rally cars? 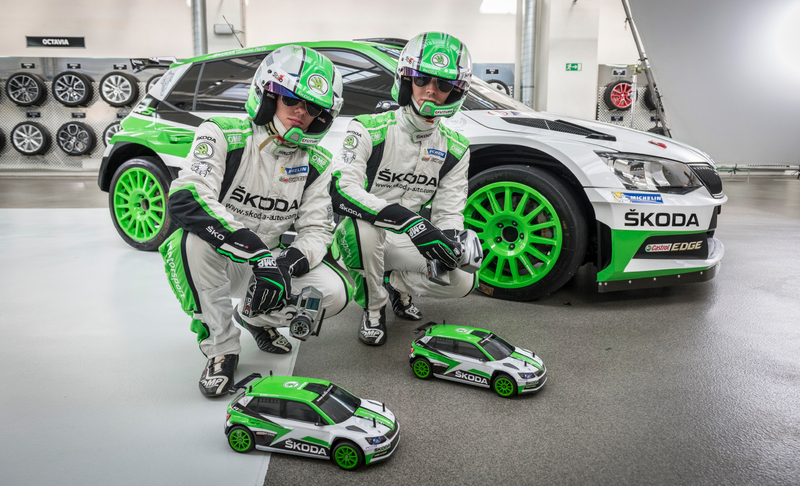 My idols are Jan Kopecký from the ŠKODA Motorsport team and my grandfather, who is still an active racer. 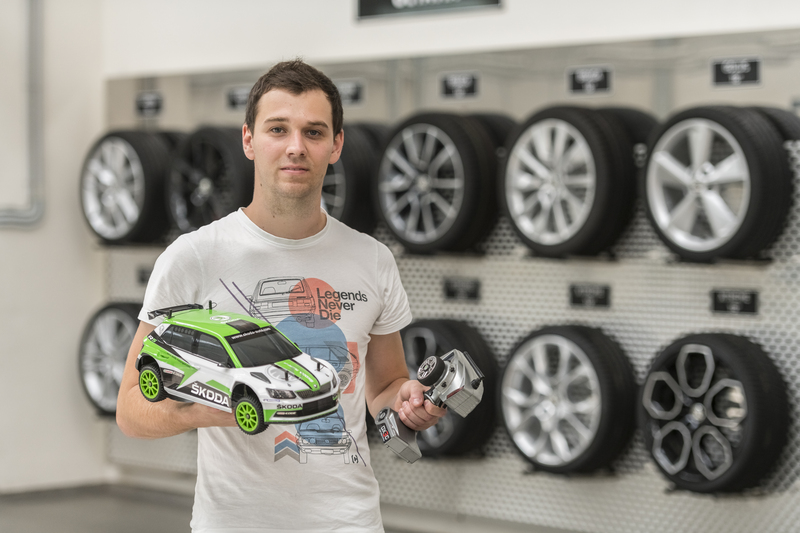 I’d bite your hand off to experience a real rally car, but it's better for me to be a top-class RC rally racer than an amateur rally driver. Do you race to win? What does RC rallying give you and what are your plans for the future? It’s a big hobby and great fun. It’s very fulfilling. At the moment it’s difficult to combine racing with my studies, though. Taking part in RC rallies has given me a lot of interesting experience that I can put to use in my field and in life generally. My goal is to improve my technique and racing style.